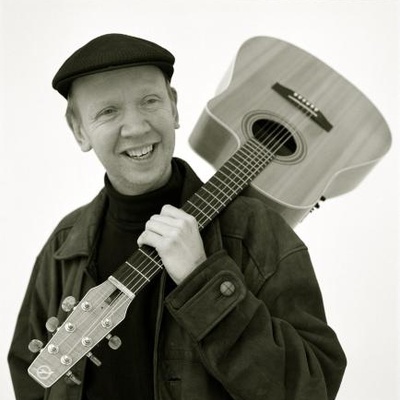 For several years, Bjorn Thoroddsen has been one of Iceland's leading jazz guitarists and has released a number of critically acclaimed albums. He has won several Icelandic music awards, including "Jazz Performer of the Year" in 2003. Bjorn's interest in guitars and music developed from an early age. On completing his training in Iceland he continued his studies in Los Angeles where he graduated from the Guitar Institute of Technology. Originally a rock musician, his attention was soon turned towards jazz, where it has remained to this day. He performs both as a solo artist and as a member in several bands, including Cold Front with Canada's Richard Gillis and America's Steve Kirby, and the popular Icelandic band Guitar Islancio, which had the honor of being the first Icelandic jazz group to have a gold certificate album, and continues to entertain both native Icelanders and international audiences. Bjorn has also collaborated with jazz musicians such as Niels-Henning Ørsted Pedersen, Nigel Kennedy, Kazumi Watanabe, Tommy Emmanuel, Ole Kock Hansen, Mads Vinding, Alex Riel, Ulf Wakaineus, Robin Nolan, Philip Catherine, Didier Lockwood, Sylvain Luc, Jørgen Svare, James Carter, Larry Coryell, Leni Stern, Ben Perowsky, Duane Andrews, Doug Raney and many others. Bjorn has been invited to perform at music festivals around the world, including Copenhagen Jazz Festival, Kongsberg Jazzfestival, JazzFest Berlin, Jazz Rally Düsseldorf, Winnipeg Jazz Festival, Toronto Jazz Festival, and so on. Some of the renowned venues he has performed at include Lincoln Center, Knitting Factory and Scandinavia House in New York, The Pit-Inn in Tokyo, The Baked Potato and Egyptian Theater in Los Angeles, Blues Alley and Corcoran in Washington D.C., and Bix in Stuttgart. When Bjorn is not busy performing, he also runs the annual Icelandic Guitar Festival, which is also televised and has become a big hit in recent years with sold-out shows.